Bewerbungsschluss ist der 15. August 2018. 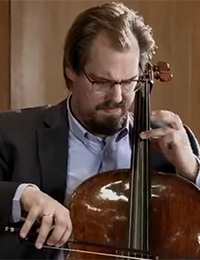 He began playing the cello at the age of 7, gaining his diploma at the High School of Music (presently Academy of Music) in Kraków in 1979 and continued his studies at Yale University. 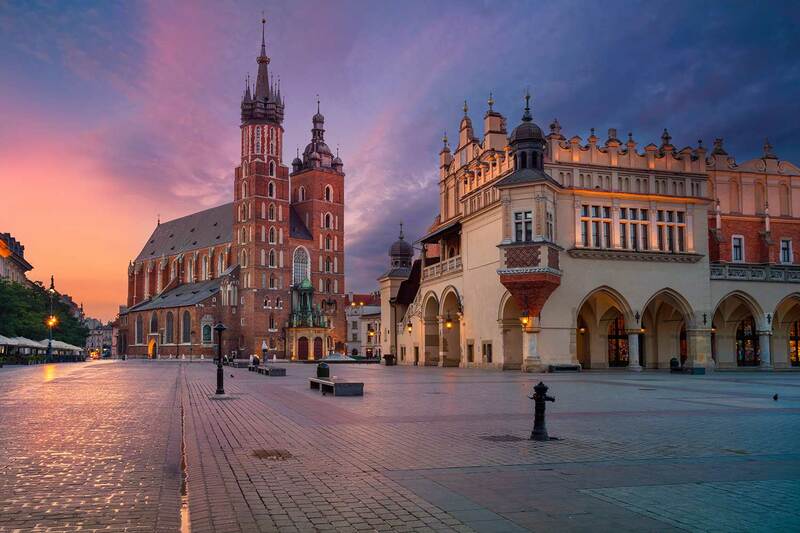 In 2012 he finished postgraduated studies MBA Higher Education Management in Poznań. He was a prize-winner of several national and international cello and chamber music competitions – in Evian, Florence, Poznań, Łódź. Yugoslavia, USA, Brazil, Germany and Malta among the others. In 1979 he joined „Capella Cracoviensis” Chamber Orchestra. 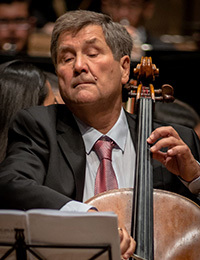 In 1981 he was appointed Principal Cellist of Krakow Radio&TV Orchestra and from 1989 to 2012 he hold the same position at National Polish Radio Symphony Orchestra in Katowice. 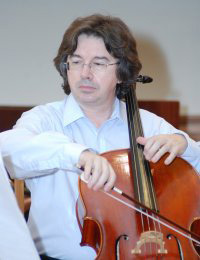 In 1992 he founded Cello Ensemble CANTABILE and hold position of Artistic Director. From 1997 he was also Artistic Director of Chamber Ensemble „ Primo Allegro ”. Since 1981 until present days he teaches cello in Academy of Music in Kraków where he held position of Head of Cello&Double Bass Department. Besides giving masterclasses all over the world he also judges many international competitions and was appointed as a Visiting Professor of Central Conservatory of Music in Beijing. In 2008-2012 he was the Vice Rector for International Cooperation and in 2012-2016 he hold position of Rector of Academy of Music in Cracow. He was a member of Conference of Rectors of Academic Schools in Poland and was appointed as a member of International Affaires Committee. He was also a member of Conference of Rectors of Music Academies in Poland. In 2012-2016 he was the Vice President of the Association of Baltic Academies of Music – ABAM. From 2016 he is a member of Council of AEC – Association Européenne des Conservatoires, Académies de Musiques et Musikhochschulen. Toggle content goes here, click edit button to change this text.The German cellist, Julius Berger, studied at the Musikhochschule of Munich, Germany under Walter Reichardt and Fritz Kiskalt. Later, he studied at the Mozarteum in Salzburg, Austria under Antonio Janigro (whose assistant he became from 1979 to 1982) and at the University of Cincinnati, USA under Zara Nelsova and on the occasion of a master-course under Mstislav Rostropovich. With 28 years Julius Berger was appointed to the Musikhochschule Wuerzburg and was one of the youngest Professors in Germany. Starting in Wuerzburg, later in Saarbruecken and Mainz, and since 2000 in Augsburg, he took efforts to promote the top new talents in his subject. Since 1992 he leads a class at the international summer academy at the Mozarteum Salzburg. Julius Berger devotes a big part of international concert- and recording-works to the rediscovery of Luigi Boccherini´s complete works, the performance and CD-edition of the works für Violoncello and pianoforte by Paul Hindemith, the works of Ernst Bloch, Max Bruch, Richard Strauss, Robert Schumann and Edward Elgar. He is known for his big commitment of contemporary compositions. He published remarkable CD’s, that are known all over the world, featuring the works of John Cage, Toshio Hosokawa and Sofia Gubaidulina. Tours and concerts have brought him together – in music and in friendship – with people like Leonard Bernstein, Eugen Jochum, Gidon Kremer, Paul Roczek, Margarita Hoehenrieder, Siegfried Mauser, Jörg Demus, Norman Shetler, Pierre-Laurent Aimard, Stefan Hussong, Olivier Messiaen, Sofia Gubaidulina, Wolfgang Rihm, Pi-hsien Chen and Kristian Nyquist. Moreover, Julius Berger works as art director of “International Instrumental Competition Markneukirchen” and the “Asiago-Festival” in Italy. He led the international Leopold Mozart-competition in Augsburg as president. For the “Studienstiftung des Deutschen Volkes”, Berger became trusted tutor several years ago. He is also a member of the permanent musical selecting commission. Working as a juror for some years, Julius Berger got to visit the competitions in Salzburg (Mozart), Kronberg (Casals), Markneukirchen, Munich, Warsaw and many more. 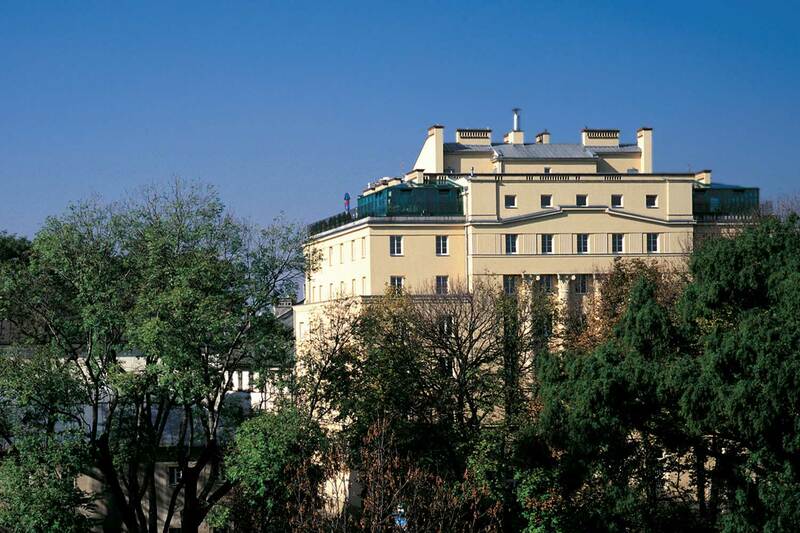 Since 1989 Julius Berger is member of the musical faculty of the Guardini-foundation in Berlin, since 1997 elected member of the central commitee of German catholics. Julius Berger spends his free time with his family and likes to relax in the mountains. Julius Berger plays on a precious Old Italien instrument by Giovanni Battista Rogeri from 1723. Dean of Orchestral Music Department，Professor of Shanghai Conservatory of Music，Academician at Royal College of Music（FRAM). “The International Talented String Musicians Cultivation” he hosted was awarded the National Educational Achievement Award by the Ministry of Education，and Shanghai Education Achievement Special Award by Shanghai Education Committee. The Ministry of Culture also awarded him the best tutor award of the National Youth Cello Competition. Many of his students were awarded at both national and international competitions, and won numerous cello competitions held by the Ministry of Culture. He gave lectures and performances in the United States of America, Australia, Canada and Poland music schools and music festivals. He was the judge of the Golden-Bell-Award Cello Competition and Golden-Bell-Award Ensemble Competition, International Ministry of Culture Youth Cello Competition, Taiwan Culture Cup String Competition, International Competition of Krzysztof Penderecki and TCU International Music Festival Competition. 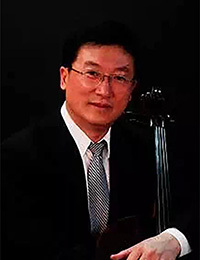 He is graduate of Shanghai Conservatory of Music and he is the visiting scholar of Royal College of Music dispatched from the National Education Commission of China. He also is the visiting professor of TCU University, and the chair professor of cello department at the Shanghai Conservatory of Music. Ivan Monighetti was Mstislav Rostropovich’s last student at the Moscow Conservatory. He was a top prize-winner in many international competitions including Moscow Tchaikovsky International Competition since then he has enjoyed a career which has taken him all over Europe, to America, Japan and Korea. As a soloist he has performed with many of the world’s great orchestras and conductors, including Kurt Masur, Charles Dutoit, Valery Gergiev , Muhai Tang, Krzysztof Penderecki, Mstislav Rostropovich, Andrey Boreyko, Dmitri Kitaenko. His sensational appearances at major contemporary music festivals and friendships with composers such as Penderecki, Meyer, Szimanski, Tan Dun,Xenakis, Schnittke, Gubaidulina, Knaifel, Silvestrov, Ali-Zadeh, Kelterborn have brought him a wide reputation in the field of modern music. Many works written especially for him are now part of the established cello repertoire. Following his conductor’s debut at the Haydn Festival in Great Britain, he has now a varied career as a cello soloist and a conductor of international repute. He conducted among others an English Haydn Festival Orchestra, Österreichisch-Slowakische Philharmonic, Moscow Symphony Orchestra, Sinfonia Juventus, Musica Viva Moscow, Georgian Chamber Orchestra, Algarve Symphonie, Viva Cello Festival Orchestra. In 2014-16 as a conductor and soloist he was an Artist-In-Residence at the Artur Rubinstein Philharmonic in Poland. In October 2016 followed his debut with Rotterdam Philharmonic Orchestra at the Cello Biennale in Amsterdam where he gave a world premiere of the Cello Concerto by Rob Zuidam. He is featured on Swiss TV in Ritratto a Monighetti and Monighetti: Storie di famiglia, and has recorded for Erato, Harmonia Mundi, Orfeo, Wergo, DUX. His new releases include Works by Alexander Knaifel (ECM), Haydn`s Cello Concertos and Minuets (DUX),on both CD`s he appears as cellist and conductor and also Beethoven`s Cello Sonatas with Pavel Gililov. 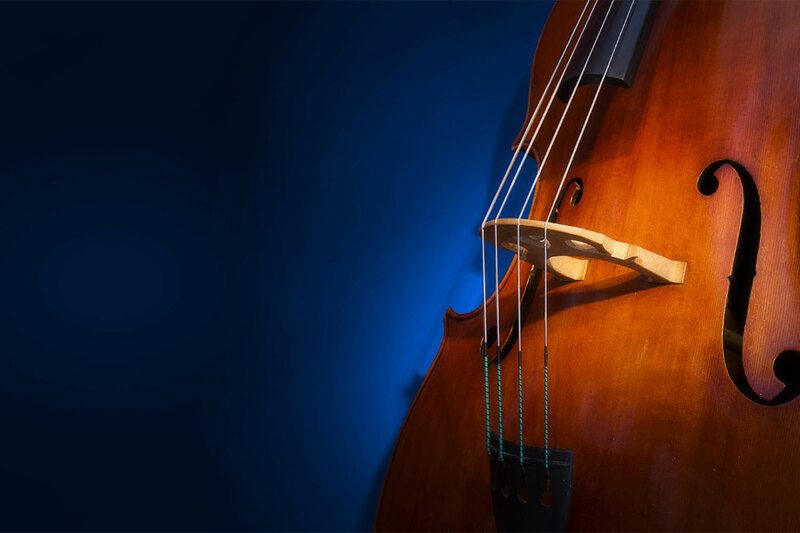 He is artistic director of the VIVA CELLO festival, Switzerland and professor of cello at the Basle Academy of Music and Escuela Superior Reina Sofia in Madrid. His students include such renowned soloists as Sol Gabetta, Nicolas Altstaedt, Kian Soltani,Emil Rovner and Asier Polo. One of the most significant cellist of our times. He started his music education when he was five.At the age of eight Arto Noras started his studies in Sibelius Academy in Helsinki with prof. Yrjö Selina.In years 1962-62 he attended the Paul Tortelier masterclass in Paris Conservatoire and he was rewarded with a diploma (Premiere Prix)in 1964.Two years later he was one of the top contestants in the P.Tchaikovsky Competition in Moscow. That brought him an international recognition. Arto Noras performs with the most significant orchestras in the world. His repertoire covers all of the significant works for his instrument. He also participated in various recordings. As an appreciated chamber musician he cooperated with the greatest instrumentalists in the world. He is a member and a founder of Sibelius Academy Quartet. He is also a founder and the Artistic Manager of the Naantali Music Festival and the International Paulo Cello Competition). 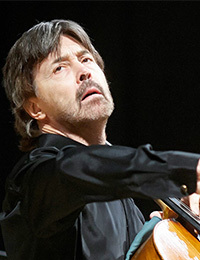 Mr. Csaba Onczay was awarded the Kossuth Prize, the highest award given to any performing artist in all of Hungary, and was awarded the prestigious Bartók-Pásztory Prize in 2004. He was also awarded the Liszt Prize and Distinguished Artist in Hungary. 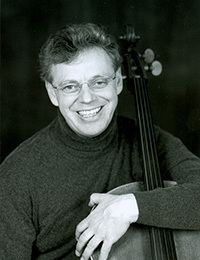 Mr. Onczay has won first prize at the International Pablo Casals Competition in Budapest, Hungary (1973), first prize at the International Villa Lobos Competition of Rio de Janeiro, Brazil (1976), and appears as a soloist in some of the most prestigious concert halls of Europe, America, Korea, and Japan. In addition to numerous recordings of concerts for radio and television. Mr. Onczay recorded for CD’s: concertos of C.P.E. Bach, Schumann, Lalo, Villa Lobos, Dohnányi, and also all the sonatas of Beethoven and all the solo suites of Bach. He regularly holds master-courses in Italy, Germany, France, Austria, Switzerland, USA, Japan, and Hungary; and is invited as a soloist and chamber music player to many international festivals. They include: Pablo Casals Festival Prades, Kronberg, Springfestival Budapest, Beaumaris Festival, Bergamo, and Springfestival in Prague, in Japan Gifu and Ishikawa. In 2001, Mr. Onczay was a Visiting Professor at Oberlin Conservatory and from 2006-2009 he was a Visiting Professor at the Indiana University Jacobs School of Music. He is a regular faculty member of the Summer String Academy at the IU Jacobs School of Music. 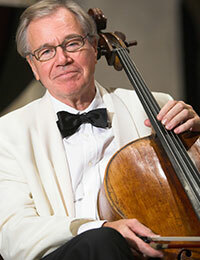 Mr. Onczay is Professor Emeritus of Cello at the Liszt University of Music in Budapest, Hungary, where he resides today. Wolfgang Emanuel Schmidt is one of the leading cellists of his generation, in our time. During his studies with Aldo Parisot at the Juilliard School in New York and with David Geringas at the Musikhochschule Lübeck, he won the First Prizes at the German National Music Competition in Bonn, at the 1st International Adam Cello Competition in New Zealand, and at the International Music Competitions in Bayreuth and Markneukirchen in Germany. He was awarded the “Grand Prix de la Ville de Paris” at the International Rostropovitch Competition in Paris where the international jury was headed by Mstislav Rostropovitch. He is also a prize winner at the International Tchaikovsky Competition in Moscow and at the International Leonard Rose Cello Competition in the USA. under the batons of Charles Dutoit, Marek Janowski, Yutaka Sado, Gerd Albrecht, Rafael Frühbeck de Burgos, Jiri Belohlavek, Vassili Sinaiski, Eivind Gullberg Jensen, Andrey Boreyko, Hugh Wolff, Michael Sanderling, Gabriel Feltz, Fabrice Bollon and Markus Poschner. He has also performed in the Berlin Philharmonic Hall, the Philharmonie am Gasteig and the Herkulessaal in Munich, the Alte Oper in Frankfurt, the Theatre du Champs Elysee, the Theatre du Chatelet in Paris, the Wigmore Hall London, the Carnegie Hall and the Alice Tully Hall in New York, the Kennedy Center in Washington, the Rudolfinum Prague as well as in the Suntory Hall in Tokyo. He devotes himself to chamber music and has already performed together with such renowned artists as Lang Lang, Christoph Eschenbach, Emanuel Ax, Gil Shaham, Nicolaj Znaider, Leonidas Kavakos, Kyoko Takezawa, Miriam Fried, Edgar Meyer and David Shifrin. From 2000-2002 he was a member of the Chamber Music Society of Lincoln Center in New York and together with Jens Peter Maintz he forms duo “Cello Duello”. His first CD for Sony Classical French Impressions was released in 2001 and followed by CD’s with all cello concerts of Schumann and Elgar (2004, 2009). In 2013 he won the “Preis der Deutschen Schallplattenkritik” and the Diapason d’Or for his recording of Carl Maria von Weber’s piano quartet (together with Isabelle Faust, Boris Faust and Alexander Melnikov). Presently, Wolfgang Emanuel Schmidt is a professor at the The Liszt School of Music Weimar, the University of the Arts Berlin and at the Kronberg Academy. He plays the cello made by Matteo Goffriller which previously belonged to Hugo Becker.